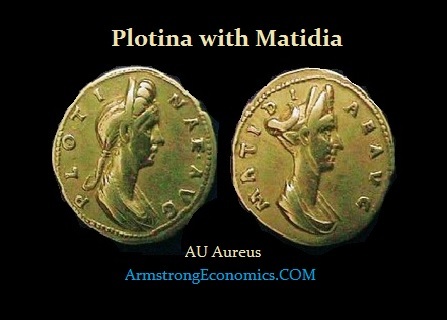 Plotina did engage in some intrigue by encouraging her favorite Hadrian to marry Trajan’s niece Sabina (granddaughter of Trajan’s sister Marciana) against the Emperor’s wishes. This, however, was not the only family link between Hadrian and Trajan. Apparently, Trajan’s father was the brother of Hadrian’s grandfather. Nonetheless, Plotina was largely responsible for the succession of Hadrian in 117 AD. Some stories accused her of forging documents that sealed the adoption of Hadrian making him heir to the thrown. 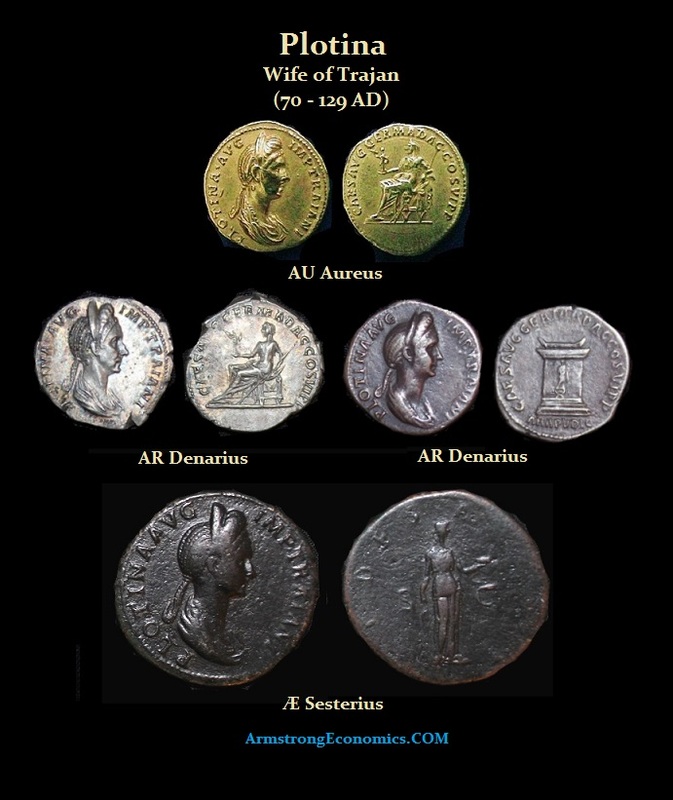 Indeed, Hadrian was never raised to the rank of Caesar, but appears to have been a close friend. Whether or not Plotina forged the documents is not certain but at the very least Trajan certainly waited to the very last minute. 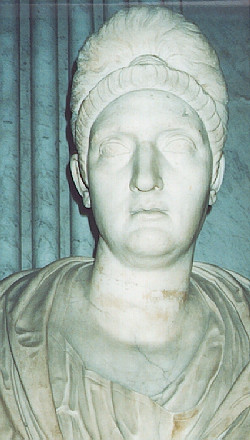 Plotina died during Hadrian’s reign in 129 AD, and was duly consecrated.